Most tickets $25! Prime seating $45, discounted up to $20 with subscription. $8 for Youth ages 18 and under, limited availability. 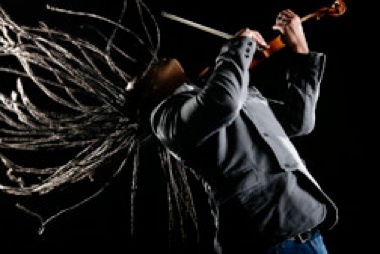 Haitian-American artist Daniel Bernard Roumain (aka DBR) is a composer, violinist and bandleader who seamlessly blends funk, rock, hip-hop and classical music into an innovative musical experience. Recently featured with Lady Gaga on American Idol, he has been described as the "hip-hop Mozart" and "Beethoven meets Lenny Kravitz." DBR’s exploration of musical rhythms and classically-driven sounds is peppered by his own cultural references and vibrant musical imagination. Bay Chamber Concerts has co-commissioned DBR to compose a new symphonic work, which will be performed by members of the Odeon Strings Program and guests as part of this concert. Daniel Bernard Roumain (aka DBR) and the New Clef Coalition will be performing at the Rockport Opera House on Sunday, March 7 at 2:30 p.m. The House of the Children of the Lack orphanage, is among the many buildings in Port-au-Prince destroyed by the disastrous earthquake on January 12, 2010. 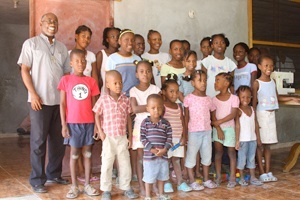 Bay Chamber Concerts and Wish for Haiti need your help in the relief and rebuilding efforts for this small, struggling orphanage. Bay Chamber Concerts is accepting donations on behalf of Wish for Haiti. These efforts will culminate at Bay Chamber Concerts' "DBR & The New Clef Coalition" concert on Sunday, March 7 at 2:30 p.m. the Rockport Opera House featuring Haitian-American artist DBR. Audience members will have the opportunity to make donations to Wish for Haiti. At the end of the concert Bay Chamber Concerts will announce total money raised for the orphanage. For more information on Wish for Haiti visit their website, to learn more about Tim Lawson, Dorie McCullough Lawson, and other's fundraising efforts on behalf of Wish for Haiti. 100% of funds raised will go directly to the orphanage. 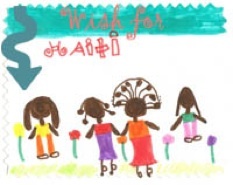 To donate NOW: donate through the Bay Chamber website through the donation tab by selecting the Wish for Haiti donation option or by calling the Bay Chamber box office (207) 236-2823 - be sure to mention that your donation is to Wish for Haiti. To learn more about what you can do to help Haiti, visit DBR's website.